Glimmer Casino Review - 1st Deposit 100% Cash Match Bonus & Boku! Everyone likes a bit of glitz and glamour in their lives, but for those of us who don’t get the chance to venture out very often, you can now experience a classy and exciting casino in your home. Mobile Bingo Bonuses bring you Glimmer Casino an exciting new site in 2015, launched by the gaming gods who brought you Dazzle Casino. With Glimmer Casino you don’t need to spend hours choosing the perfect outfit and getting ready, you simply head over to the site and you can become immersed in one of liveliest online casinos around. 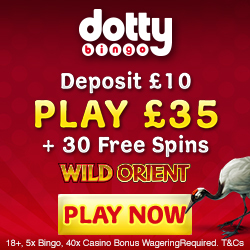 Their huge range of games includes casino, jackpot games and features slots such as Mermaids Millions, Avalon II, Jurassic Park and the new Bridesmaid Slots. Add in the fact that all of this is available on a number of mobile devices, including Android, iPhone and tablets; then you’ll begin to realise how much fun you could have! Variety of banking methods, including pay by phone. Registering with Glimmer Casino is pretty quick and painless, especially when you add in the excitement of their welcome bonus. 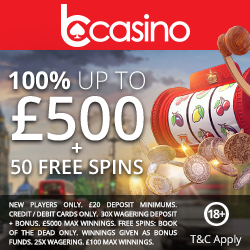 When you make a 1st deposit you’ll be delighted to hear that you’ll receive a 100% cash match bonus on a minimum £10 up to £200. This bonus is on their promotions page under ‘double your money,’ because that’s pretty much what you do!! This extra money gives you the opportunity to really test drive the site before parting with any more cash. Cash Back Day – For the weeks where you’ve deposited you can join Glimmer Casino on the Thursday and receive a 10% cash back bonus on a minimum £30. Unlike other sites, there is no maximum cap to ruin the fun, you can keep depositing and enjoy the little extra all day! Weekly Surprise – When you log into your Glimmer Casino account you may get a little surprise. Depending on how much you’ve played and deposited, you’ll receive an enhanced booster for additional gaming; who doesn’t like surprises!! Game Day – This is defiantly one for the slot gaming fans, because every Wednesday you could receive bonus spins on a slot chosen by Glimmer Casino. They’ll send you an email confirming the chosen game for that specific Wednesday. Monday Madness – Monday is always a pretty depressing day, so help brighten it up with a 100% cash match bonus between £10 and £50. This bonus is available every week, meaning you’ll have extra playing time on a regular basis! Glimmer Casino believe that it’s important to reward their loyal players, so they offer an impressive VIP Scheme. This elite club will give you the opportunity to collect points, bonuses and gifts, simply for doing what you love; gaming! There are 5 levels to the VIP Scheme including Bronze, Silver, Gold, Platinum and Diamond, each offering their own amazing benefits, so the more you play the higher the level. To give you an idea of what you could receive, they have discounts on bets, anniversary bonuses, personalised gifts and a personal account manager. If you need any support from Glimmer Casino then you can contact them via live chat or email and their dedicated customer support team will ensure they deal with any issues in a prompt manner. They offer the usual banking methods such as Credit and Debit cards, Skrill, Neteller and Paysafe cards. But as you’ll already have guessed Glimmer Casino goes one step beyond, by offering payment by phone bill. If you’re new to the pay by phone bill scene, then you’ll soon discover why it’s quickly becoming the most used banking method. You basically provide your mobile details and any credit you require will be added to your phone bill, or you can use your phone credit. This provides both financial security as you’re not giving your bank details to various sites and if the pennies are tight, you can add to your bill and pay it off at a later date. We’re sure you’re eager to begin the party on this dazzling site, which you can do by heading over to the incredible Glimmer Casino.